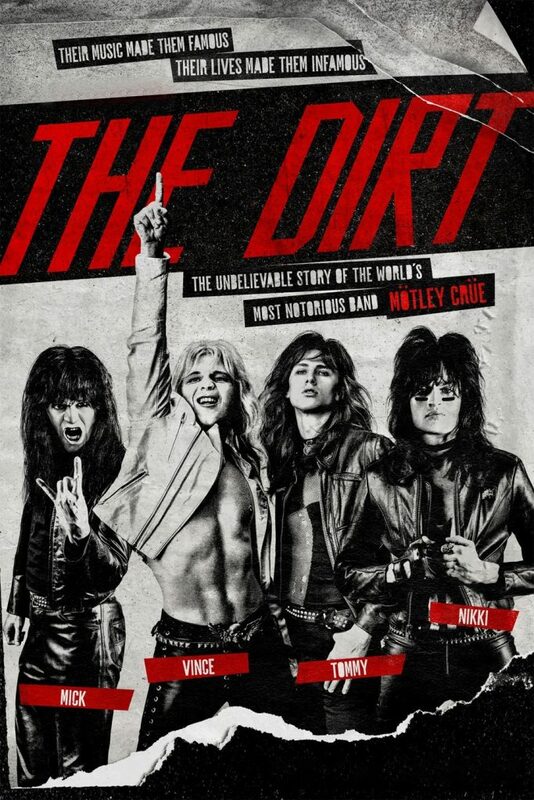 Home›Movie Reviews›The Dirt - Motley Crue Biopic Hits Netflix! 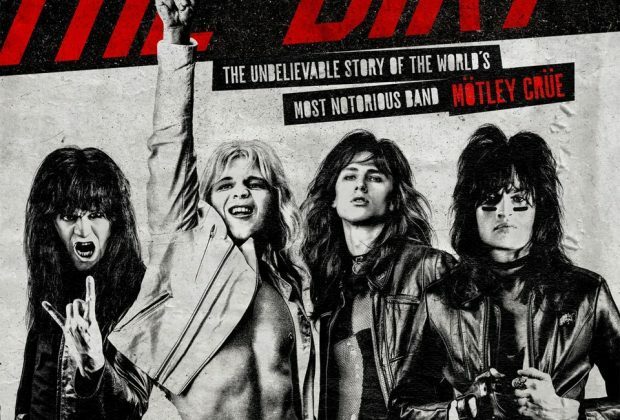 The Dirt - Motley Crue Biopic Hits Netflix! The Dirt is directed by Jeff Tremaine. The film stars Douglas Booth, Iwan Rheon, Colson Baker, and Daniel Webber. In the early 1980s, following their own individual shares of drama, Vince Neil, Nikki Sixx, Mick Mars, and Tommy Lee unite to form the band Motley Crue. 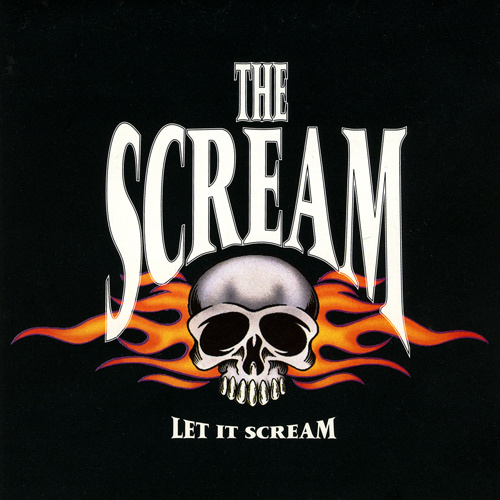 Despite initial obstacles and skepticism from the public on the Sunset Strip, the group becomes legendary with their backstage antics, self-destructive lifestyle, and catchy rock/metal songs which win over audiences. However, it isn’t long before the group’s never-ending debauchery catches up with them, and they find themselves in world of changing music trends and a rocky future. Anyone who knows me knows I’m a die-hard fan of classic Sunset Strip rock/metal bands, and there’s perhaps no band more legendary on their respective scene than Motley Crue. Their autobiography The Dirt is one of the most famed of all rock star books, and upon hearing it would be adapted to a direct-to-Netflix film, this rock and roll fan was especially excited. How does the final product fare? It’s good but not great. The movie does a solid job showing off the debauchery the band was infamous for in their heyday, with scenes that push the TV-MA rating to the limit, and a relatively solid central cast, even if their names aren’t immediately recognizable. However, the film falters in that we don’t see the consequences of the band’s actions until much later in the film, and rushed pacing and a lack of development for many characters and relationships drag the final product down. I can’t speak for how historically accurate the film is in terms of everything it depicts, though the characters in the film even make a few I, Tonya-esque fourth wall breaks to address this, which adds something of a comedic “don’t take this too seriously” aspect to a film which is at times over the top. Some of the activities the band engages in over the course of the film really must be seen to be believed. It’s a production which earns its TV-MA rating and then some, with an endless array of sexual deviance unrivaled elsewhere. If you’re a prude or easily offended, don’t watch this movie! The casting of the band members is surprisingly well done, even though I’ve never heard of a single actor in the film, yet these four develop a genuine chemistry through the good times and bad alike, with plenty of gut-wrenching plot twists and comedic dialogue alike. A few side characters get a chance to shine as well, including a brief appearance from Ozzy Osbourne, portrayed by Tony Cavalero, who creates some hilarious moments in his brief-but-memorable appearance. Sadly, some of the acting from other characters/actors in the film feels second-rate at best, though fortunately many of those persons are in and out of the movie relatively fast. Production-wise, the film is a step up from a made-for-TV movie, though it lacks the polish of a theatrically-released Hollywood music biopic. Personally, in the case of a film about Motley Crue, I believe this approach works best, with the biggest production setpieces being recreations of stage of the band’s concert tours and the like. Does the film do a good enough time sending the viewer back in time to a bygone place and time before the era of smart phones and social media? The answer is most definitely yes. Unfortunately, despite my enthusiasm about the film, not everything works. The biggest weakness here is the movie doesn’t do a good enough job showing the consequences of the band members’ actions throughout the film. Romantic interests come and go, but we spend so little time with any of them that we don’t care when these relationships fall apart; what should be genuinely heart-wrenching moments go in one ear and out the other. We should be seeing destroyed lives and subsequent attempts at perseverance, but pretty much everything the band does throughout the film is handled with no consequence whatsoever. Even the band's attempt at rehab is handled with a few brief lines of dialogue and not much else, with no real struggle shown on screen. The movie’s rushed and frantic pacing, though certainly not out of character for the rock and roll world, ultimately hurts the movie more than it helps it. Vince Neil gets into a car crash which results in the death of Hanoi Rocks drummer Razzle, but a) the film doesn’t spend nearly enough time with Razzle for us to care about him when he dies, b) doesn’t bother fleshing him out or explaining to a more casual audience who Hanoi Rocks is, and c) basically lets Vince Neil off with a slap on the wrist, so there’s no real feeling of any consequence when it’s back to “business as usual” just a handful of scenes later. By far the biggest offender to the rushed approach is the illness and sudden death of Vince Neil’s young daughter from cancer; we’ve spent no time with the two together whatsoever aside from all-too-brief flashes, so the scenes don’t carry anywhere near the dramatic effect they should. Likewise, the rushed approach to the material causes major key events from the band’s history to be omitted? Where’s their performance at the 1983 Us Festival, or the Moscow Music Peace Festival? The band’s 1990s stint with John Corabi is briefly referenced and seen, but again, basically there and gone without any real development, nor do we hear any of the Corabi music or see a performance from that era. Vince Neil’s solo career while away from the Crue also gets no mention whatsoever. Even the ending of the film is in a questionable place, and gives the movie an inappropriate “happily ever after” quality which hardly suits the material. Honestly, I believe the movie would have worked better as two separate, better fleshed out movies, or a mini-series of multiple episodes. Everything the movie crammed into a run time of roughly 105 minutes just don’t come together like it should, and the rushed and frantic nature hurts the final product. The Dirt brings Motley Crue’s story to life in a stylized and appealing manner, with plenty of X-rated antics, and a superb cast portraying the quartet. It’s just too bad a rushed approach and lack of development for many aspects of the storyline and characters drag it down, and too many key facts and events are omitted. I believe fans of the group will be satisfied with the film, though casual movie fans will be less enthused. But if you’ve got Netflix, why not give it a watch? DISCLAIMER: Images in this review are the property of their respective holders, including Netflix, 10th Street, and LBI. For promotional use only. All rights reserved.